World champion and sports icon Michael Phelps and the engineering design team of Master Spas® have teamed up to create and introduce a new signature line of swim spas. The collaborative effort has resulted in a full line of new swim spas under the brand name of Michael Phelps Signature Swim Spas by Master Spas. 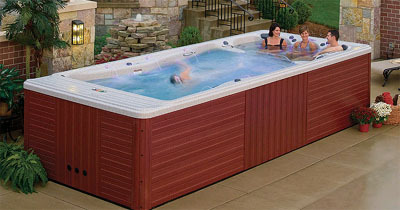 The Michael Phelps Signature Swim Spas by Master Spas was designed and developed with the input of Mr. Phelps, Coach Bob Bowman and a team of Master Spas’ experienced engineers. 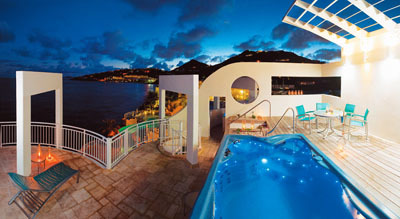 The signature line of swim spas provides a solution for all fitness levels, health regimens, and spaces not typically conducive for accessible, year-round aquatic exercise and hydrothermal therapy. The line features six (6) new and different, premium swim spas for residential settings and one (1) premium, commercial-grade swim spa ideal for fitness centers, universities, and physical therapy centers. Mr. Phelps and Mr. Bowman, in conjunction with Master Spas, are actively promoting the sport of swimming and the health benefits associated with aquatic exercise and spa therapy. 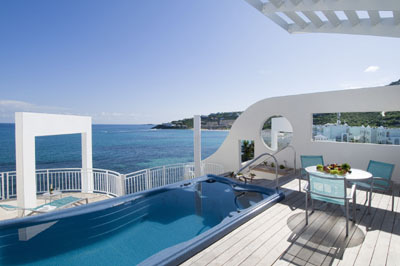 The distinguishing difference of the Phelps-designed swim spas is the unique, patented Wave Propulsion™ Technology that provides an exceptionally wide, deep, and smooth current for a superior swimming experience. The propeller drive system generates a turbulent-free current, rather than the “fire hose” blast of typical water jets found in other spas. For elite swimmers, the MP Signature Model features the largest swim area and more advanced Wave Propulsion™ Technology with an incredible 40 percent more power than standard Wave Propulsion™ Technology. All models include the exclusive, proprietary Swim Number System that allows swimmers of all levels to control the speed of the current - at the touch of a button, the speed is fully adjustable from 0 to 60. 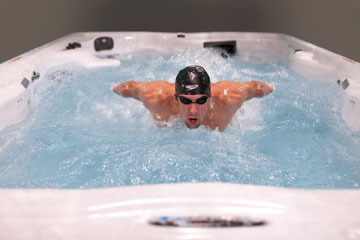 Each model of the Michael Phelps Signature Swim Spas by Master Spas includes an Aquatic Exercise System which includes a rowing kit and resistance bands and comes standard on all models. A workout DVD along with an exercise booklet designed specifically for Master Spas is available to assist beginning, intermediate, and advanced swimmers to fully maximize the swim spa’s capabilities. Optional underwater cameras can be installed to record a swimmer’s stroke for easy reviewing in order to help his or her performance. 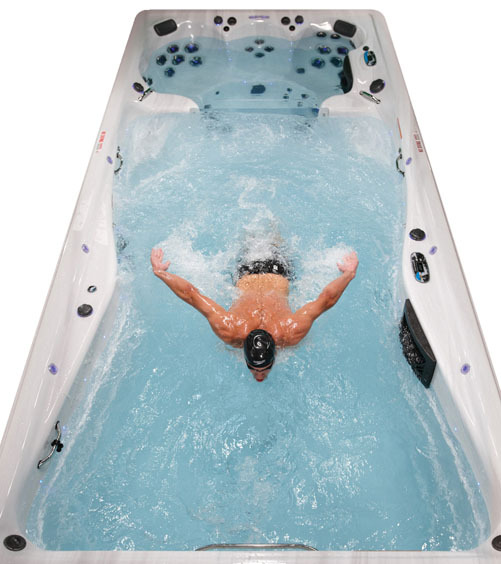 As with all Master Spas product lines, a portion of the swim spa is designed with hydrothermal therapy jets and seating that target major muscle groups. A special standing therapy cove works on hard-to-reach spots like hips, lower back, and legs. The Xtreme Therapy Seat (XTS) is ergonomically designed for comfort and a twin power pump system for maximum muscle massage. Installation is quick - typically less than a day - without digging for footers; a concrete pad, patio or prepared deck is sufficient, or partial in-ground installation is available. Climate factors are eliminated with the Michael Phelps Signature Swim Spas by Master Spas, as each unit offers maximum energy efficiency, and an optional automatic cover lift will remove the insulated hard cover at the touch of a button. 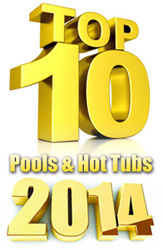 At Master Spas, we never just sell you a hot tub and send you on your way. 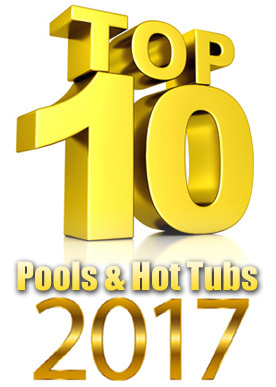 When you get a Master Spa Brand Spa or Swim Spa, you're getting the full support of our nationwide network of hot tub dealers and contract service centers. Plus, our professional customer service representatives are only a toll-free phone number away, to answer all your questions. 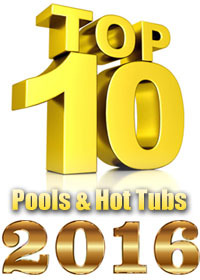 Master Spas is based in Fort Wayne, Indiana, 90 miles north of Indianapolis. Operating on a 27-acre campus with more than 250,000 square feet of state-of-the-art manufacturing and distribution, Master Spas is one of the largest manufacturers of portable spas, luxury hot tubs, and premium swim spas in North America. The company’s management team boasts more than 100 years of spa manufacturing success and one of the strongest track records in the industry. 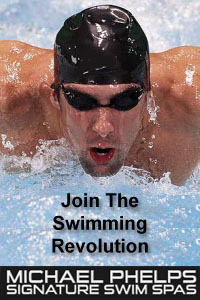 Michael Phelps is widely recognized as the most accomplished swimmer of all time. Phelps, who holds more gold medals, world championships and world records than any other swimmer, remains steadfast in his efforts to grow the sport of swimming and encourage active and healthy lifestyles, especially for children. He established the Michael Phelps Foundation in 2008 and launched the Michael Phelps Swim School in 2009.